If you’re trying to find the best freelance websites for beginners, this is the list you need. If you’re a more seasoned freelancer, this guide should still prove useful. You may find you’re already familiar with plenty of the sites on the list, but there’s a write-up of each one that provides tips and useful info, and you’ll probably uncover some gems you’re unaware of. The list covers everything from the big freelance job boards to the sites that provide geuninely useful freelance advice, rather than those that are desprate to scam you or sell you something. The big freelance job boards make many people shudder, but you can’t leave them off a list of the best freelance websites for beginners. The big job boards can feel like a lawless jungle sometimes. There are people running scams and clients out to pay peanuts. Then there are the fees, which are often extortionate and unfair. BUT…these job boards are also the place where thousands of new freelance gigs are listed every single day. As long as you’re cautious and discerning, you will find legitimate clients with money to spend, and household-name companies using the platforms to find contractors. Over the years I’ve found my fair share of both. You’ll find some tried and tested tips for improving your chances on these job boards here. Upwork is the biggest of the big when it comes to freelance websites. A quick search whilst typing this revealed over 110,000 open jobs. Yes, some are garbage, and some are even scams – but there are diamonds in that rough. Any one of those jobs could be the start of a relationship with a new, regular client. 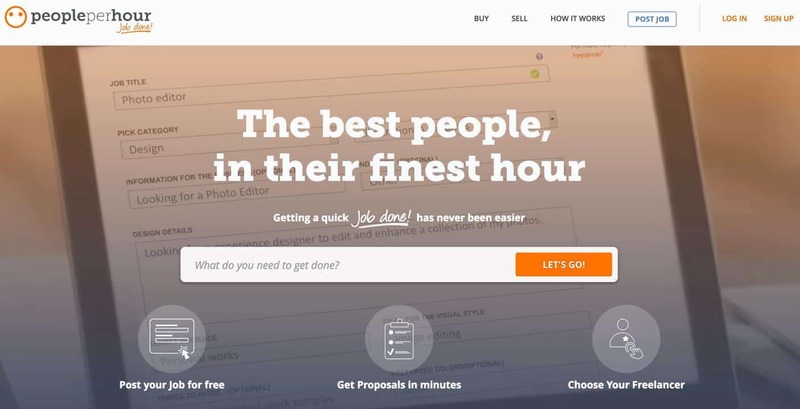 A smaller but similar site to Upwork, PeoplePerHour is UK-based but the workforce is global. It suffers from the same afflictions as Upwork, including annoyingly high fees, but the same positives apply too. We have an article on this site from a freelancer who’s done plenty of work on the platform. You’ll find some general information on avoiding scams here. Due to the monopoly the larger job boards have on freelance listings, it’s really hard for new boards to make an impact. Hubstaff Talent is a site that’s tried, and it definitely has its attractions, the key one being that it’s a free platform. On the downside, it still attracts the inevitable scammers and “bottom feeders.” Furthermore, the far lower number of jobs (around 600 at the time of writing) means its appeal is more limited. Still, you might find something here, and you can read a review of the platform via this link. Branded as a “freelance services marketplace,” Fiverr works in a different way to the other job boards. People list tasks they will carry out for a fixed price and sell them on the marketplace – anything from writing an article to building a website. It can be a bit “bargain basement” and there’s a lot of competition, but plenty of people make money on Fiverr. As described in this article, our writer Sam scored his first gig within 12 hours. 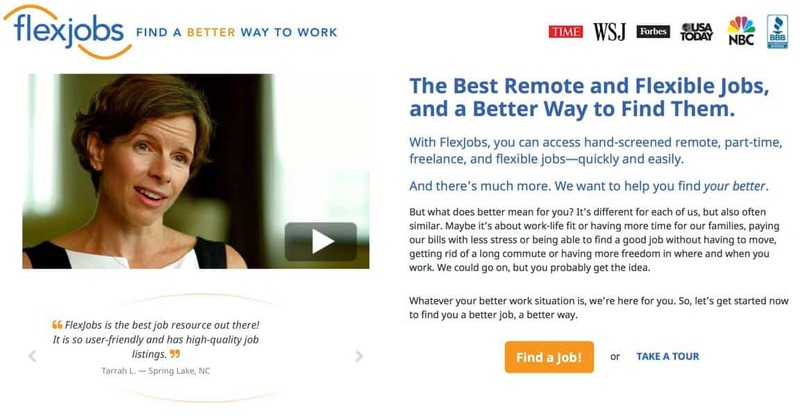 The next two sites on the list curate jobs that people can do from home or remotely. It’s fair to say they lean more towards teleworking opportunities, and they both have a small subscription fee which some people object to paying. In reality, however, ten bucks or so really isn’t much money if it helps you uncover an opportunity you otherwise wouldn’t have heard about. On the negative side, the website is a bit cluttered and the focus is defintely on remote workers more than freelancers. We’ve published a full review here. Virtual Vocations (review here) is Flexjobs’ closest rival. However, it’s a smaller concern and the jobs are almost exclusively in the US, which isn’t great for people anywhere else! On the bright side, the user experience is a little friendlier and you get to see more of the site without subscribing. If you’re tempted to try one of these sites but can’t decide which, they’re compared in more detail here. I make a distinction here between freelancing and gig working, although the two do blur into one. The sites in this section are more for the kind of gigs that involve at least some in-person contact, such as assembling furniture, taking on some ironing work, or doing some odd jobs. TaskRabbit is a great system that puts people who need small jobs doing in touch with individuals (taskers) who would like to be paid to do them. It’s a refined platform with a presence in several places including the US, UK and Canada. AirTasker is a very similar service to TaskRabbit, but covers a wider range of tasks. Some of these have more crossover with the kind of things you’d usually find on the freelance job boards above, such as business admin, design and marketing. The site gives people the ability to list services they offer for a fixed price (rather like Fiverr, above.) Currently available in the UK and Australia only. Microworking is something that some people look down on, but it’s a good way to earn some steady (if not big) money. It’s also completely flexible, in that you can log on when you have some time. If you’re just getting started in freelancing, it can prove incredibly useful to have some microworking to fall back on to fill in any gaps in income. Amazon’s Mechanical Turk (MTurk) is a well-established microworking site where you’ll always find a steady stream of tasks to do. There’s a huge community of people working on the site, some of whom manage to find tasks that earn them a decent entry-level hourly rate. We’ve published a detailed review of MTurk, written by someone who’s spent plenty of hours working on the platform. 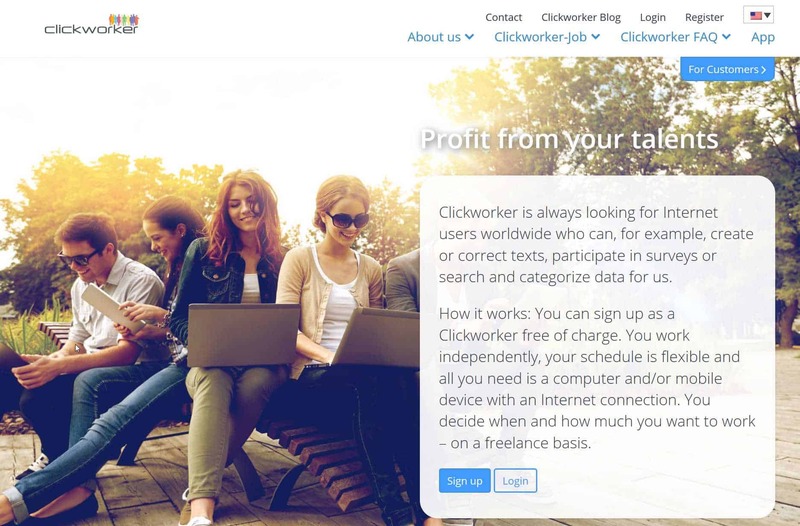 Clickworker is another microworking platform, and one we felt had improved when we recently updated our review. For many, it’s the fact that Clickworker offers a route into UHRS (explained here) that makes getting involved worthwhile. It won’t make you rich, but can often be a steady source of microwork that’s great as a side income. Appen was recently awarded the number one slot in Flexjobs’ round-up of companies listing the most home-based jobs. They offer everything from microtasks to more “bulky” freelance gigs in things like linguistics and transcription. Appen definitely deserves a place on a list of freelance websites for beginners – the company has a huge global presence and really seems to be going places. You can read their company profile here. Plenty of companies – often large companies, still use “old school” job boards to advertise freelance positions. You may need to do a bit of searching, but simply inputting things like “freelance” and “independent contractor” usually yields results. You can’t search for jobs of any description online without seeing some listings from Indeed. 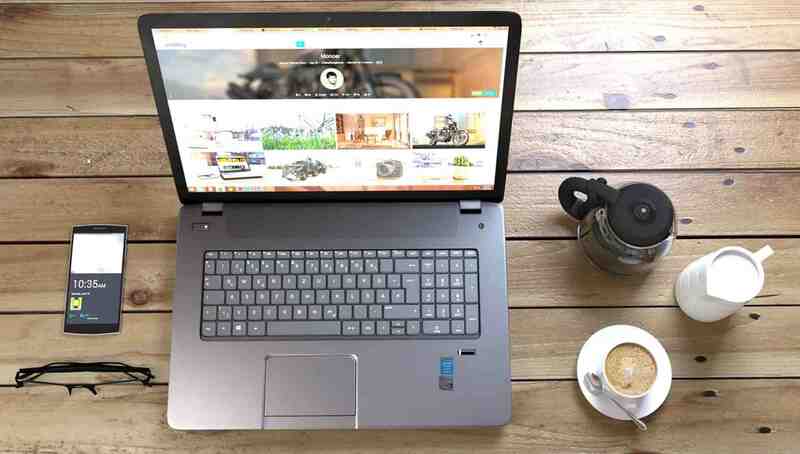 While the name is primarily thought of in association with “traditional” jobs, I’m listing it among the best freelance websites because there are always some freelance gigs lurking in the listings for those willing to look for them. Whilst typing up this article, I did a search for “freelance” in my area and turned up just under 1500 opportunites. A similar beast (or should I say monster?!) to Indeed, Monster.com has a global presence, and companies do use the platform to recruit for freelancers. There’s perhaps not the volume of freelance positions here that I saw on Indeed, but there were some interesting roles when I last looked, including “day rate” jobs for project managers and SEO consultants. There are thousands of companies of all sizes that hire freelancers, and some of them are on this separate list of firms hiring home workers. For the purposes of this particular article, I’m focusing on a handful of companies with a good reputation that I know recruit regularly for freelancers, rather than those that do so occasionally. If you prefer the idea of working on a single project instead of hustling for gigs on the job boards, these could be worth a look. Rev specialise in transcription, translation and closed captioning. They’ve worked with more than 20,000 freelancers and there always seems to be a steady stream of work. Rev’s clients include CBS, Disney and The New York Times. Having seen Booking.com, the travel site, appear in a similar roundup of freelance websites for beginners, I thought I’d check it out. I found opportunities in content writing, and for language specialists in various global locations. It seems this is a company happy to hire freelancers and one well worth looking at. Sticking vaguely to the theme of travel, we have Airbnb. It’s always pleasing to see a company have a seperate section for “remote” on its careers pages, and I saw freelance opportunities for photographers to visit Airbnb properties, as well as freelance jobs for property inspectors. Deliveroo has a presence in a number of countries now, and plenty of people make a side income (or a living) from doing food deliveries at times that suit them. Let’s face it, Uber’s not without its controversies, least of all protests and even bans in some cities, but it’s very much a pioneer in gig working. Almost any driver can choose to drive for Uber on a flexible freelance basis. If you teach, you should find yourself spoiled for choice with freelance opportunities. There’s a huge market for online teaching these days, and VIPKid is arguably the best-known player in teaching English online. If you’re a native English-speaking graduate, you can build a business around teaching on VIPKid. Preply is a little different, because it’s not only about teaching English. It’s essentially a teaching marketplace where you can set up as an online teacher in any subject you like. For more on Preply and on several other freelance teaching opportunities, check out our guide to teaching online. My research has shown that MANY people think about writing when they dream of a freelance life. These sites are all good places to get started along the road to finding gigs. ProBlogger Jobs is a small but perfectly formed website for freelance writing gigs, which we’ve reviewed in more detail here. The fact that the board charges advertisers means that scammy ads are kept to a minimum. Jobs here appear in their tens rather than their hundreds, but it’s worth a regular check for gigs that are a good fit. I’ve personally both advertised here and picked up client work. The FreelanceWritingGigs site lists new writing jobs every day. While they do offer companies seeking writers inexpensive paid ads, some ads are linked to third-party sites likes Craigslist. 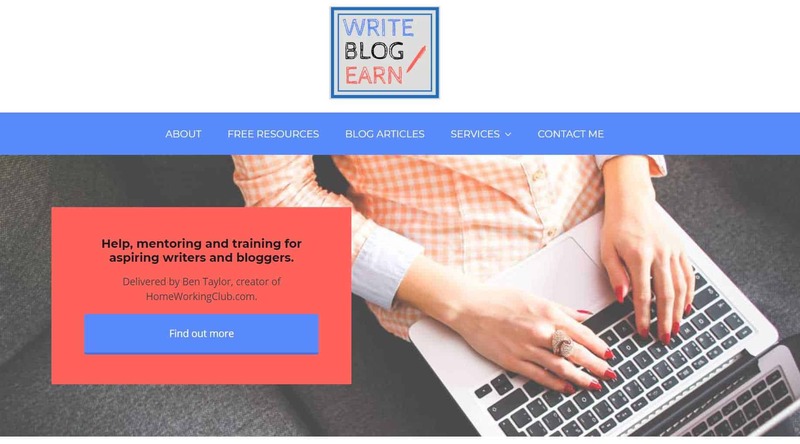 You need to proceed with caution and be mindful of scams, but this is a legitimate place to search for new freelance writing assignments. MediaBistro is a hub for writers that includes a job board. Many of these jobs are for companies rather than individual blogs, with the clients typically looking for solid experience. I saw such big names as Dow Jones and CNBC when I last looked. That said, there are also some listings for more junior writers, so MediaBistro is worth at least a glance, regardless of where you’re at with your writing career. If you’re keen to find temporary contracts to carry out on a freelance basis, it’s well worth considering approaching some staffing agencies. These are best suited to experienced professionals in fields like IT, finance and project management. Examples of agencies known to offer freelance / contract positions include: (links lead to profiles of the companies). There are MANY websites out there offering advice to freelancers. You’re reading one of them! It’s worth being aware that many such sites have a hidden agenda, and want to sell you secret formulas and membership deals. The two sites here have more to offer than that, and are worth a frequent read. I am slightly biased because I’ve been known to write the odd post for The Freelancer’s Union, but it’s a site offering consistently good advice in a very approachable format. It’s well worth adding to your bookmarks. Entrepreneur.com can feel a bit focussed on startup businesses sometimes, rather than individual freelancers, but there’s still more than enough good content. Also, while there are ads on the site, you can read it without the feeling somebody’s trying to sell you something. Are you starting to think about getting into freelancing? Read this article to see if you’re really cut out for it! Then, check this out for dozens of great tips. Next Article Clickworker Review: All you Need to Know. 2019 Update. I think it’s time to add nDash to the mix in this article. Arguably, nDash works best for portfolioed writers freelancers. Just the oppositie of the content farms. Hi Murray 🙂 Thank you for your comment. I have reviewed nDash here (link) and also included it on this list of sites for those with more experience (link).